Shoe: Calf leather. Welted construction. F fitting. Leather sole. Excellent quality shoes. Very comfortable fit from the first moment they were put on. 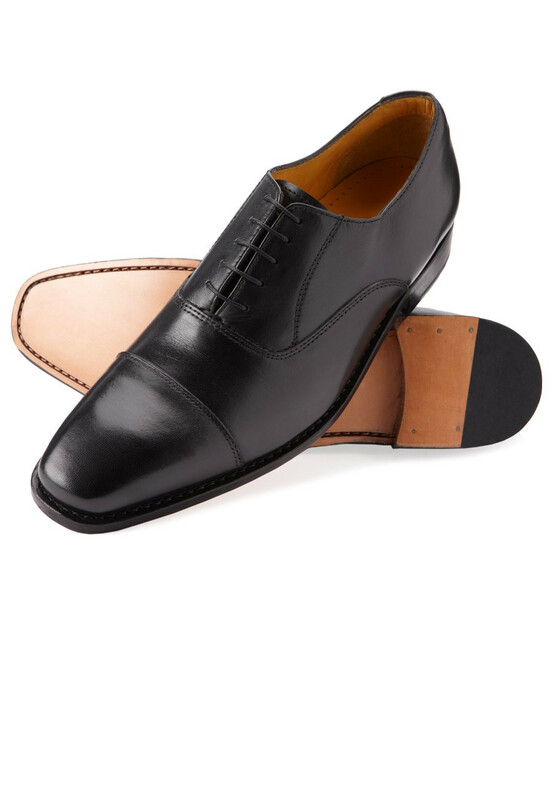 The Henley Calf shoes are very comfortable from the first moment you put them on unlike others I have tried. Very well made and should last a long time with proper care. I purchased these shoes (size 9) for myself after purchasing some Brook Tavener trousers that I really liked. Unfortunately, the shape of the Henley shoe is too long and made it look like I was wearing clown shoes. The quality looked good though, so it hasnt stopped me buying other items from Brook Tavener.